Smart networking: To a tea! This blog post has been condensed and republished from Adventures in Tealand with permission from the author. Rita Fong is a course ambassador with University of Toronto School of Continuing Studies Certificate in Entrepreneurship program. Entrepreneurship is not a lone pursuit. It’s important for an entrepreneur to network to create a powerful assembly of advisors, suppliers and customers. Whoa, not necessarily. When you network, like everything else, you need to set goals so you know what your desired target will be from the start, or you’ll end up wasting time. You want to create real relationships. Social networking does not replace good old face-to-face networking in creating lasting and useful relationships. But it’s not a bad place to start. Your goals need to be “SMART” ones, too. You know, as in Specific, Measurable, Achievable, Realistic and Timely. If I’m going to represent a product it has to be a good one, and if I’m going to have someone mentor me, they have to be someone I can respect for the way they do what I’d like to be doing. And networking and meeting industry people can be great fun! 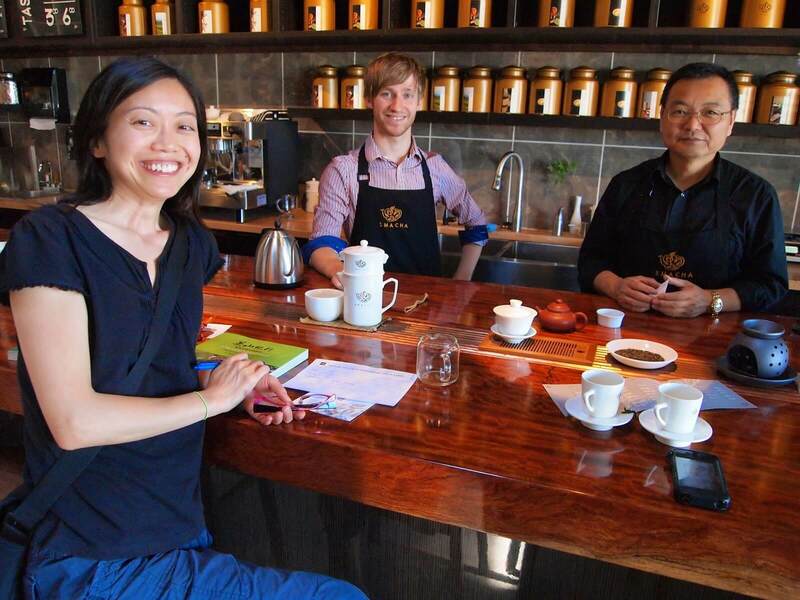 For example, last summer I travelled to Washington State, and checked out Tea Master Jason Chen’s Smacha Tea Shop. It is an amazing place where one can learn about and enjoy exquisite fine teas. Tea Master Jason Chen serving us a few of his many beautiful teas using his signature teaware designed to avoid over steeping. 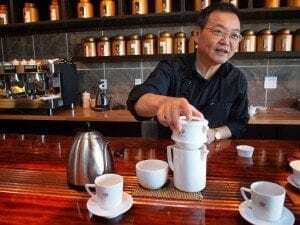 Because of this visit to a tea shop I’d heard about through a social media contact, I found a mentor I respect and got to know him, building a solid connection for further communication. Two to three hours was a smart amount of time for the visit. Whether I decide to import some of Master Chen’s quality teas or emulate his book-writing model, I’m inspired. I know I can learn greatly from his 32 years in the business. As I learn more about entrepreneurship, I realize I have many of the skills necessary to have a successful business. I’m excited that I can do things I enjoy (meet people online and in person, write and take pictures, and drink tea! ), and look forward to building a business as well. Follow #StartUpEdu, @rfongtea and @entrepreneurSCS on Twitter to join in on the entrepreneurship conversation.